Welcome to Kings Quarter in Harrogate - Jim Mossman, left, with co-owners,Mick Wren and Roger Moxham at Cold Bath Brewery Co on Kings Road in Harrogate. One of Harrogate's leading independent bars has welcomed the creation of a new 'Kings Quarter' in Harrogate. Since three friends and business partners Mick Wren, Jim Mossman and Roger Moxham opened Cold Bath Brewing Co at 46 Kings Road, it has proven a huge hit. Now one of the co-owners has hailed the first new ideas for the town centre unveiled by Harrogate's new BID (Business Improvement District). One particularly exciting idea is to turn the wide range of independent businesses located on the bottom end of Kings Road and Cheltenham such as No 35 coffee house, Redhouse Originals gallery and Stuzzi restaurant into its own quarter as part of a new town centre map. Jim Mossman said: "Having opened Cold Bath Brewery Co in a disused commercial unit on Kings Road last year, being here 24/7 gave us a great insight into the potential for the Kings Quarter idea. "In conjunction with neighbouring restaurants, art galleries and various boutiques, not to mention the conference centre itself who have given us tremendous support, the Harrogate BID backing is extremely welcome and will continue to help energise and stimulate growth with increased footfall at this end of town. "With the continued increase in residential development investment into the continued regeneration of Kings Quarter can only be of benefit to the growing community and independent businesses alike. " 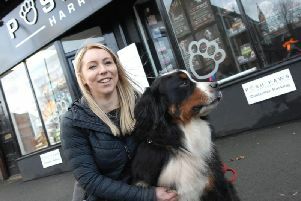 It’s been tougher times for the retail sector in Harrogate town centre in recent years but a fightback to secure a prosperous future has begun. Last week saw Harrogate’s new Business Improvement District reveal its first ideas to improve and support the town centre. It’s been a busy four months since the task group won a ballot of Harrogate businesses in November to set up the town’s first Business Improvement District. But a board has now been formed for this new private company, a manager appointed, offices found and the first policies to help Harrogate town centre unveiled. Harrogate BID chair John Fox said the whole process had been full-on for all concerned from the town’s business and civic community. But, he added, exciting policies were starting to emerge to improve the environment for businesses, customers and visitors in the town centre. And local businesses were being kept firmly in the loop with a newsletter delivered throughout the BID area. John Fox said: “Since the result of the ballot in November, we have been working very hard to set the business up. “We have created a board for the company with ten members on the executive committee which meets monthly and the board with 16 members who will meet quarterly. “The directors, who are all volunteers, have been selected from the task group which has been working to set up the BID. “They are continuing their work with the BID in order to ensure consistency in the process, as detailed in the BID Business Plan. “We have found offices and have spent time recruiting the BID manager. With a budget of more than £3 millon expected to be raised from a new levy of local businesses, the first newsletter by Harrogate BID Ltd reveals a raft of ideas to improve and support Harrogate town centre as a destination. Among the most exciting ideas is the creation of a series of new ‘quarters’ for different geographical areas of Harrogate town centre to capitalise on the strength of the independent sector. Among the new quarters set to join the well-established Montpellier Quarter on a new A4 map is Kings Quarter focused on King’s Road. A summer floral shop window competition will also be launched this summer and a new prepaid Harrogate Gift Card authorised by Mastercard is also to be introduced for customers to use in restaurants, bars, cafes and shops within the Harrogate BID area. Harrogate BID is also determined that the town’s and its businesses should capitalise on the the arrival of two global cycling events to Harrogate this year. 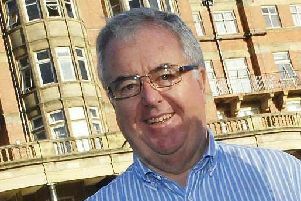 Harrogate and District Chamber of Commerce’s president Steve Scarre, pictured below, welcomed BID’s vision. He said: “If we get the cycling events right, many of those people who are coming from all over the world may come back and tell their friends how beautiful Yorkshire and, in particular, Harrogate. Chair John Fox said BID was keen to have levy-paying businesses involved by becoming a member of the company with voting powers or by attending a new series of forums which will be launched in May.